The British Rorschach Society (BRS) is a professional organisation with a lead position in the United Kingdom for training, education, practice and research with The Rorschach. The BRS was established to promote the advancement and diffusion of knowledge of the Rorschach along with the efficiency and usefulness of the Rorschach by establishing high standards of professional education, training, practice and research. This includes disseminating the empirical research findings available for the Rorschach to the wider psychological community. BRS members are involved in using the Rorschach in a variety of clinical, legal/forensic, educational, training and research settings. 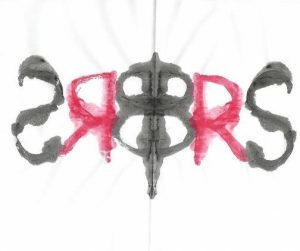 The BRS provides a Rorschach Practitioners Forum for members to come together to exchange clinical and research ideas concerning the Rorschach. At these meetings, members present clinical cases, providing the opportunity for members to improve their skills in the scoring and interpretation of the Rorschach. The BRS occupies a key role in undertaking research to establish normative data for the Rorschach in the UK. The BRS provides a link for members with the International Society for the Rorschach and Projective Methods (ISR) and the Comprehensive System International Rorschach Association (CSIRA), and representation for its members at international congresses and meetings.